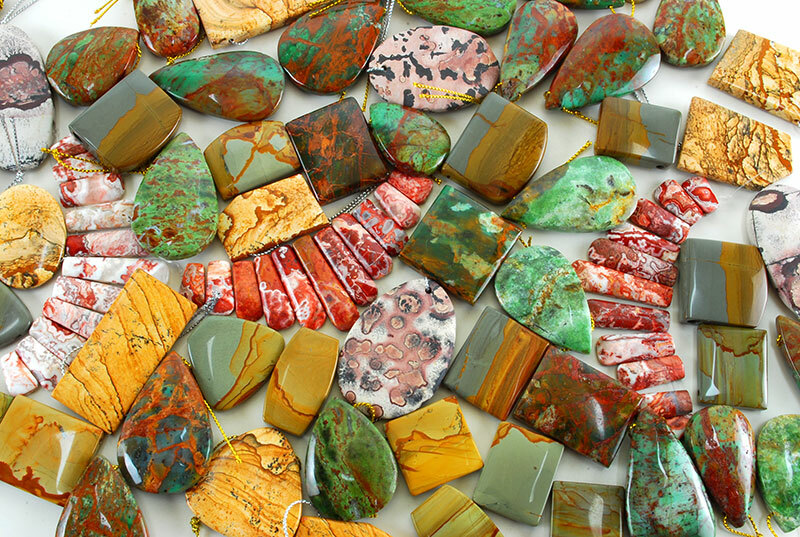 Introducing our inspiring new selection of African Green Opal, Cripple Creek, Crazy Lace Jasper, Desert Jasper, and Wild Horse Magnesite featuring all new colors, patterns, shapes and cuts! These beautiful gemstones are all different and unique; find freeform cabs, matched pairs, drilled pendants and calibrated shapes. Our African Green Opal stones display a unique, eye-catching mixture of earth tone jasper matrix embedded with green opal. African Green Opal is used to promote inner peace, love, and compassion. This stone helps bring about emotional healing, simplicity, and clarity to the wearer. Cripple Creek Jasper comes from mines in the Owyhee Mountains of Eastern Oregon. Cripple Creek is a very hard jasper that takes a glossy polish. The natural scenes formed in the rock are reminiscent of the area in which it is found. 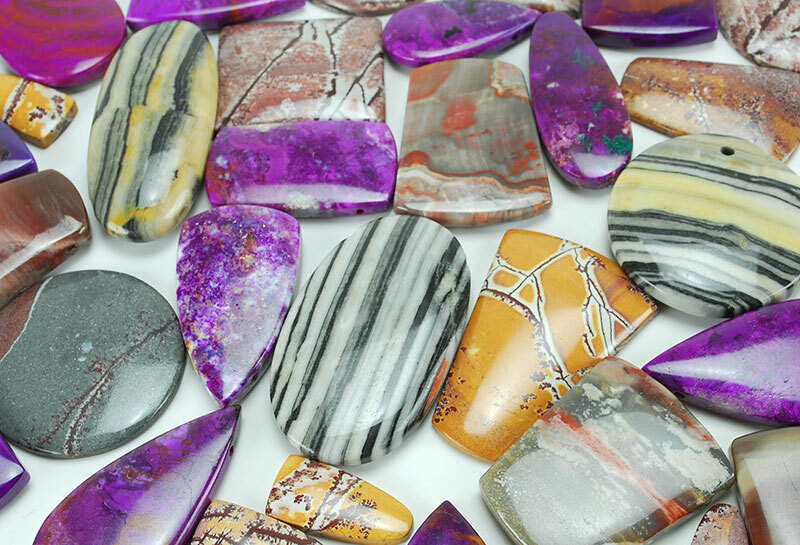 Crazy Lace Jasper offers brilliant colors and intricate patterns of pink, red, white and cream. 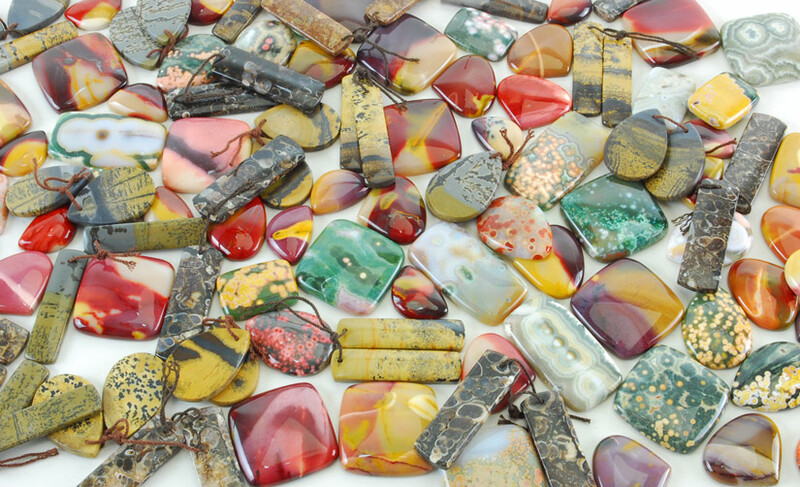 Our Crazy Lace Jasper are available in coordinated necklaces that are pre-drilled and are ready for embellishing. Desert Jasper features stunning patterns of yellows and browns. This stone resembles a desert scene and is often compared to the desert landscape. Wild Horse is a combination of magnesite and hematite and is mined in the Gila Wilderness area of Southern Arizona. The name is believed to be derived from the spotted brown pinto horse due to its resemblance. This gemstone is generally white with a brown to purple hue matrix running through the white magnesite.  You will not find any two Wild Horse gemstones alike. Each image is the individual stone you will receive. Order now before they are gone. Previous post: The May Survey Winner Is Here Next post: New Reduced Kiln Pricing! 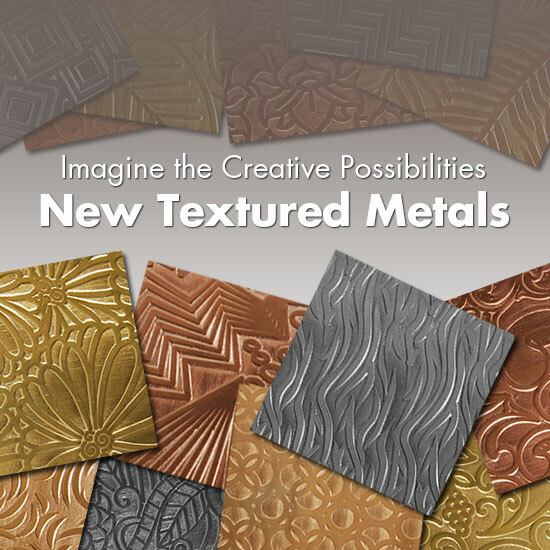 New Books & DVDs on Metal Clay Are Here!